This is an easy one to keep in your repertoire of stay-well goodies as the seasons change. Mix it all up in a mug and add near-boiling water. 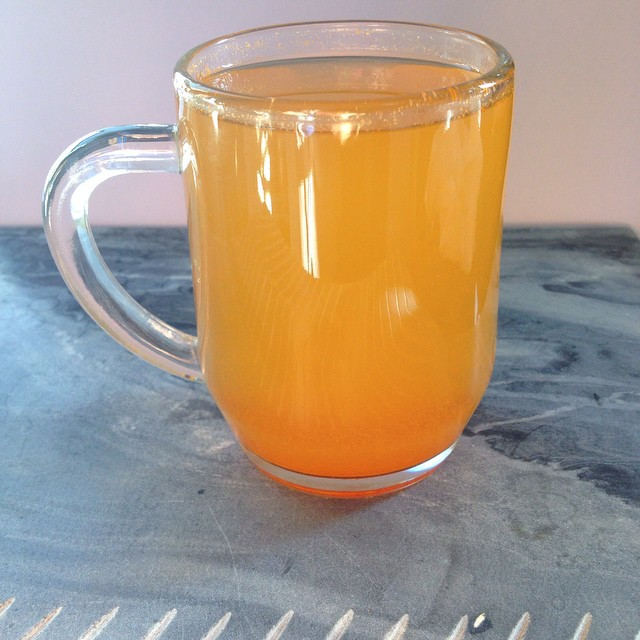 If you are a fan of drinking hot water and lemon in the morning, this is a nice switch that harkens back to the master cleanse but with much more potent kick of the apple cider vinegar. Surprisingly, though, I find it very drinkable. Tip: if you drink it slowly, keep a spoon nearby to keep stirring or your last sips with be all cayenne pepper! Your Morning Dramatically Shapes Your Day… So Make It Amazing! Previous post: The Fast Track To More Inspiration Right Now! Next post: 7 Simple & Vetted Product Switches To Detox Your Beauty Routine!